More rave reviews have been flooding in for my noir thriller Back Door to Hell. After an initial burst of positive feedback from critics and fans on publication by Fahrenheit Press, the novel has received a further batch of excellent reviews from all corners of the globe. Critically-acclaimed crime author Aidan Thorn called the book ‘A very British True Romance’ in his review posted on the Fahrenheit website. I recently wrote an article for the Criminal Element website about my favourite fictional chase sequences that helped inspire my new novel Back Door to Hell. The piece, titled ‘The best cat-and-mouse chase thrillers in crime fiction’, explores 10 examples of captivating stories – ranging from the classic to the modern – that feature a significant chase as part of the plot, from police pursuing criminals to villains hunting after each other. Take a look and let me know at @PaulJGadsby if you think I’ve missed any crackers out. 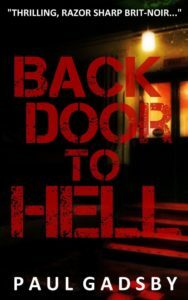 My newly-released noir thriller Back Door to Hell is going down a storm with crime fiction critics and fans. 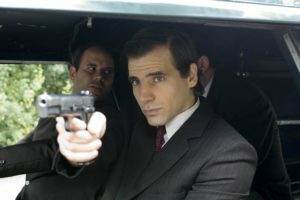 Early reviews have praised the novel’s pace, characterisation and the tense storyline which keeps readers on the edge of their seat until the end. 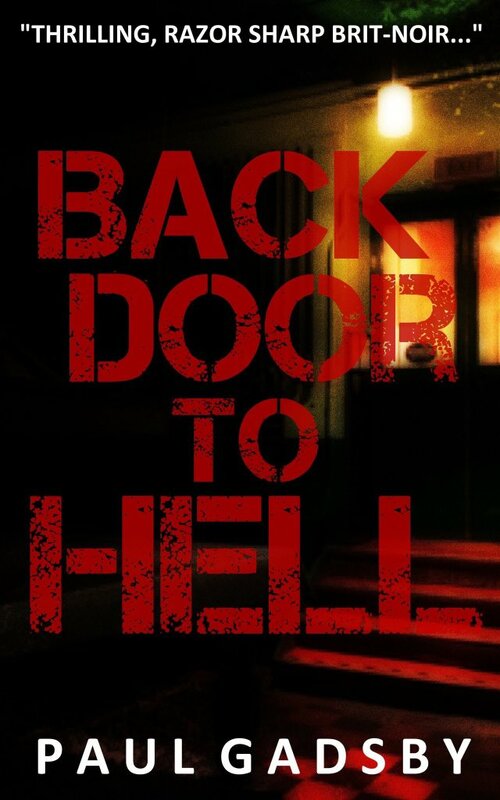 Click here for more details about Back Door to Hell and how to buy direct from publisher Fahrenheit Press. My new noir thriller Back Door to Hell has just been released by Fahrenheit 13. The publisher of the coolest collection of hard-boiled noir and experimental crime fiction on the planet (their words, but independently verified by several sources as absolutely true) publishes a new book on the 13th of every month, and January 2019 is the turn of my second full-length novel. 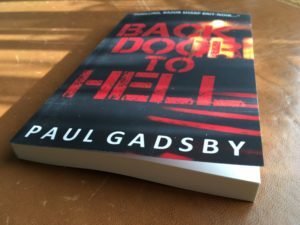 Back Door to Hell is a lean and pacey thriller that follows a young couple on the run after they steal a shedload of cash from a South London underworld crime boss. 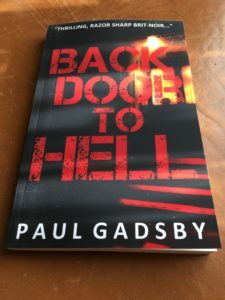 More details about Back Door to Hell can be found here, while you can order or download the book direct from Fahrenheit 13 here or alternatively from Amazon on Kindle here and on paperback here. It’s available at a fantastic price as well, from just £1.69 on ebook and £8.95 on paperback as a special new-release offer – so get in quick while the generosity lasts. I’m delighted to reveal that my new crime novel, Back Door to Hell, will be published by Fahrenheit 13 in the New Year. The publisher’s senior editor, Chris Black, and I have been working on the edits over the last few months and the book is all set for release in January 2019. Fahrenheit 13 is an imprint of Fahrenheit Press, one of the coolest, bravest and most important independent publishers around, devoted to providing readers with the finest and most original crime fiction on the planet. 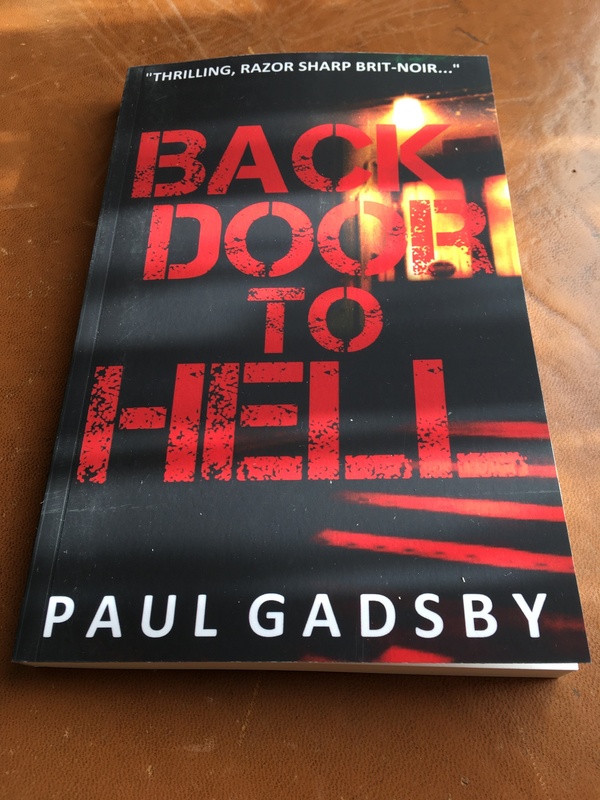 Back Door to Hell is a fast-paced noir thriller that follows a young couple who, desperate to improve their lives, embark on an audacious cash robbery that results in a cat-and-mouse chase around the country. The book is my second full-length published crime novel, after Chasing the Game, and my second collaboration with Fahrenheit Press after my short story Washed Up was selected to be included in their groundbreaking Noirville anthology following an open competition.